Dentist examining child teeth in dental clinic. 图库照片: Dentist examining child teeth in dental clinic. 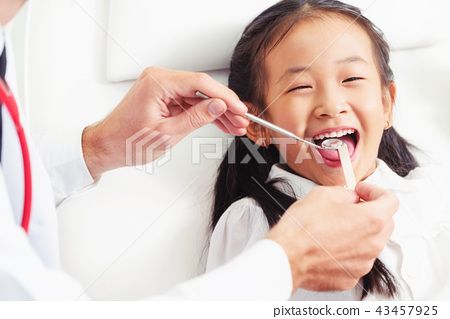 Friendly young dentist examining happy child teeth in dental clinic. Dentistry concept.